Patrik Verstreken has made contributions to our understanding of synaptic function in health and neurodegenerative disease. 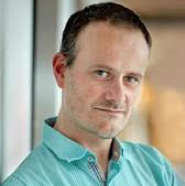 Using fruit flies and more recently also human neurons derived from embryonic stem cells, Patrik’s work has focused on key proteins, lipids and mitochondria that regulate synaptic activity and how these molecules and organelles are misregulated in Parkinson’s disease. Patrik’s work has led to the discovery of specific presynaptic and organellar defects in Parkinson’s disease and in strategies as to how these defects can be suppressed. My overarching goal is to understand how synapses are able to maintain functional over their long lives. Healthy mitochondria are an integral aspect of normal synaptic activity. We have therefore studied the role of pink1 and parkin, two Parkinson’s disease genes that regulate mitochondria. We found Pink1 to regulate ubiquinone coupling in complexI maintaining energy production and normal neurotransmission. In line, we found that Vitamin-K2 is a strong modifier of pink1 and parkin mutants and we showed thatVitamin-K2 acts as an alternative electron carrier in fly and human mitochondria. With the Klein lab we are now engaging in clinical trials and our preliminary work already indicates positive effects in patients. Synaptic energy ensures proper vesicle trafficking, a process critical to maintain synaptic release. Consequently we analyzed key mechanisms of exo- and endocytosis. Our main contribution has been in analyzing how protein damage induced by the intense cycling of synaptic vesicles is mitigated at synapses. Nerve terminals are often far from their cell bodies and the novel regulatory mechanisms that control synaptic protein sorting and degradation we have studied are specific to synapses. We have analyzed the role of synaptic endosomes and pathways that involve synapse specific mechanisms of autophagy in the regulation of protein turn-over. Proteopathic stress and synaptic dysfunction are often connected to neurodegenerative disease, and we discovered several connections between the synapse-specific protein turn-over pathways and Parkinson’s disease as well as other neurodegenerative conditions. Hence, we defined new, medically-relevant mechanisms of protein homeostasis at synapses.